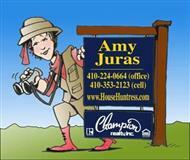 You will find Annapolis Home or Waterfront Home with my Annapolis MLS search page. As a consistent Top Producing Realtor in Annapolis, let me help you with buying, selling and investing in real estate. Working with me will provide you with the advantage especially with my years of proven experience and skills being put to work for You. I can help you with a broad range of real estate services as well as home buyer programs and financing options. As Maryland´s capital, Annapolis is always at the center of what´s happening. It´s no wonder that George Washington wanted to make this the nation´s capital. With a fine mixture of culture, history and the natural beauty of Maryland, Annapolis is an ideal place to live. We´re small enough to maintain the cozy small town feel while still growing in leaps and bounds. There is always an eclectic variety of homes on the market to suit every taste, style and amenity you can imagine. Search for your dream home in Annapolis today. Admiral Heights: In the 1600´s, this beautiful area belonged to the Dorsey family. Today, Admiral Heights is a neighborhood that has been built with your convenience in mind. With parks on the waterfront where you can socialize with your neighbors, and a location that´s within easy distance of Uptown, downtown, the Bay Bridge, the Annapolis Mall and more, it´s no wonder Admiral Heights is such an attractive place to live. Annapolis Cove: With gorgeous waterfront homes, a private Marina and views straight to the Chesapeake Bay Bridge, life in Annapolis Cove is ideal. This is a charming community of neighborly people and fantastic views right on Lake Ogleton. Anchorage: With a pride in our little community, Anchorage residents will find that investing in a home here is investing in the future of your family and the community at large. Check our featured listings to see what´s on the market in Anchorage. Cape St. Claire: Located just seven miles east of Annapolis proper, Cape St. Clair is a community that includes the neighborhoods of Walnut Ridge, Green Holly, Atlantis and St. Claire Court. With access to excellent local schools and other fine community amenities, it´s no wonder that relocating to Arnold is a popular alternative to life in Annapolis. With a long history in the area, you´re going to find homes in every available architectural style and price range. Annapolis Overlook: Annapolis Overlook is a community of condos and townhomes, minutes from downtown Annapolis and right up the street from Quiet Waters Park. Built between 1988-2002 this relatively new (by Annapolis standards) community is priced between 230k and 315k with a $150-$200 per month HOA/Condo fee. Amenities include a pool, common grounds, exercise room, jogging and walking paths and some exterior maintenence. Annapolis Roads: Annapolis Roads is Located within the city limits of Annapolis, this lovely neighborhood is home to many happy Annapolitians as well as a family of bald eagles. The eagles have not been the best of neighbors bothering a few small dogs, however the community in general, is thrilled to have them. This community has a golf course, a marina and beach, and although I am not sure if it is in the covenants, everyone in this neighborhood waves as I drive by. Many people walking their dogs and it seems to be a health conscious group. The demographics are varied with a wide combination of families, retired persons and young and single. The community is also one of the older ones with original homes being built in the 1930's yet there is plenty of modern new construction as well. Home prices start for a tiny cottage around $350k to a deluxe waterfront with views of the Bay Bridge will run you $2.5 million. It is a charming community filled with large trees, nicely kept yards, and as I mentioned, friendly people. Anrundel on the Bay: Tucked in at the end of a penninsula, Arundel on the Bay boasts wonderful community amenities such as common grounds, docks, piers, a beach, tot lot, playground as well as water privileges. It is close to several county parks and is popular community that the residents would just as well keep a secret! Arundel on the Bay is just a few minutes to Historic Annapolis! Atlantis: Tucked away on the Broadneck Peninsula, this 200 home community offers a fishing pier, tot lot and quiet wide streets. Homes were built by several builders between 1978-1985 orginally was planned to be a gated community, the homes are currently selling between $300k and 1.2 million for the waterfronts. The community is located on Deep Creek and has cute names for their streets such as: Barracuda Cove, Neptune Place, Mermaid Drive and Seahorse Court. The kids in this community would attend Cape St. Claire Elementary, Magothy River Middle and Broadneck High School. Bay Ridge: Considered to be one of Annapolis' premier communities this place has it all! Overlooking the expansive Chesapeake Bay, you see the whole view of the Bay Bridge, boats, ships, birds and sunsets galore. Amenities include miles of sandy beaches, pool, marina, club house, tot lot, basketball courts and so much more. Most homes are custom built and prices start at around $600k and have gone for over 6 million. And to add insult to injury, bring your hammer to the $600k home because I know it is going to need a bit of work. But in the end, Bay Ridge owners rarelyleave the community. I have known a few to move within the community several times. The New England feel of the architecture and the progressive attitude of the people make this community one to look at if you are able to afford its luxuries. See more neighborhoods in the Annapolis Area on my Neighborhoods page.